Well you are ready to put together your adventure and a million things go through your mind to get it all to come together. Here are some Useful Links to make it a little easier making arraignments from some known sources with good reputations. From the how do we get there, to what is it going to take for this incredible adventure that will have a lifetime of memories. We are here to help you with your planning and glad to assist with any questions you may have. The resources on Prince of Wales are limited so it’s easier if you get things lined up as far ahead of time as you can. There are two ways of getting here, Air and Driving. If you fly you will arrive in Ketchikan. If you drive you will go to either Bellingham Wa., or Prince Rupert British Columbia. and then go by Alaska Marine Highway Ferry to Ketchikan. 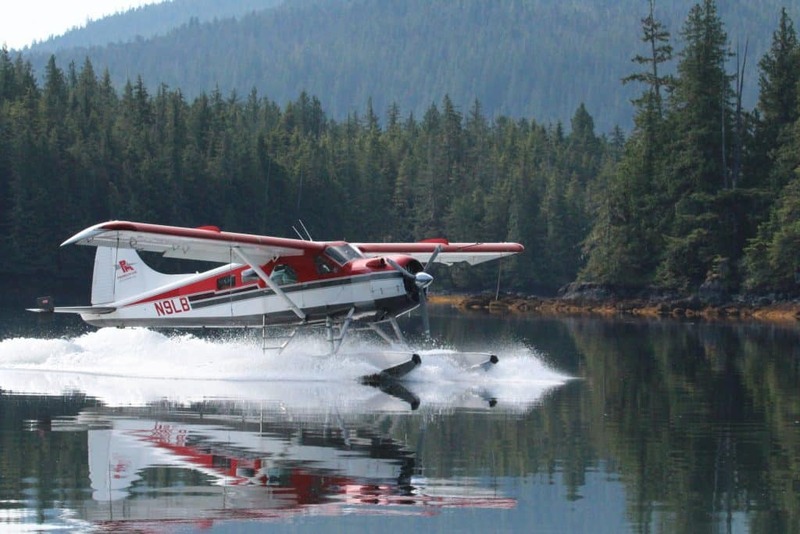 From Ketchikan to Prince of Wales you have a choice of Float Plane, Wheel plane or Inter Island Ferry. Get a hold of us and we will be happy to help with any of the logistics for travel and getting your rental vehicle or boats. We have made arrangements with Rainforest to pick up your vehicle for you should you choose Rainforest. We will also work with you to pick you up when you return it and take you to the Ferry in the morning for your return trip. They have a fee on their web site for delivery but let them know we will be helping you. Katie has top quality equipment chosen for our environment, and a really nice boat and 4 wheeler for rent. Give her a call and tell her hi for us. Stephanie is an incredible Captain and extremely knowledgeable about the area. You can also check out her photography at Emerald Island Photography to get a sampling of some of the things you may see. Outer Otter Sportfishing 907-254-2433 Cohorocky@hotmail.com U.S. Coast Guard licensed Captain. Great fishing on our 22ft boat with enclosed cabin! 2-4 people. Top quality gear. Saltwater and freshwater, including trout, Steelhead and Salmon. Also, fly fishing guide and instruction. FUN GUARNTEED! Give Rocky a call at Outer Otter, they dont have a web site but do have email. Rocky is an incredible fisherman and knows where the best spots are going to be. If he isnt guiding hes fishing for fun. Log Cabin Resort has small skiffs for rent and Charters out of Klawock. Alaska Fish and Game You can buy your hunting or fishing license from them online or when you get here. You can also check up on the latest regulations and any emergency orders. National Weather Service This is for marine weather and has wind and wave data along with any warnings. (small craft, gale etc.) You can put this info on your phone or if youre like and dont have a smart phone us we will be happy to look up the forecast for you. FreeTideTables.com has an assortment of tide tables and guides that are helpful in planning your trip. We will have a tide guide in the cabin for you when you get here. For the this side of the Island Ketchikan and for the Craig ocean side use Sitka. Thorne Bay Ranger District (907) 828 3304 Thorne Bay covers the North half of Prince of Wales Island. This is the office to call to schedule a tour of El Captain Cave. Craig Ranger District (907) 826 3271 They are located in Craig and is a handy location to stop in and get maps and information. NOAA shore line mapping and other information good for some arm chair scouting, this is time consuming but was made using low altitude planes to photograph the shore line. lunadogalaska.com They have Alaska cool and tough dog collars and leashes made right here in SE Alaska on Wadleigh Island.